Ever since my youngest daughter was born (2 years ago), I have had a terrible time getting to sleep. There was almost a year that she work up every few hours, and it really messed up my sleep cycle. My sleeping position often lead to headaches, poor sleep, and a sore neck. When I slept before I would use 4 pillows . . . yes, four. I would spend all night rearranging them so they were fluffed enough, and had to flip then several times because they got too warm. I am guessing this was mostly due to my sleeping position. I enjoy sleeping on my side and on my stomach, and pillows are usually not built for this type of sleeping position. I have been through MANY pillows over the past couple of years, and I usually end up replacing them in a few short months because they lose their fluffiness. 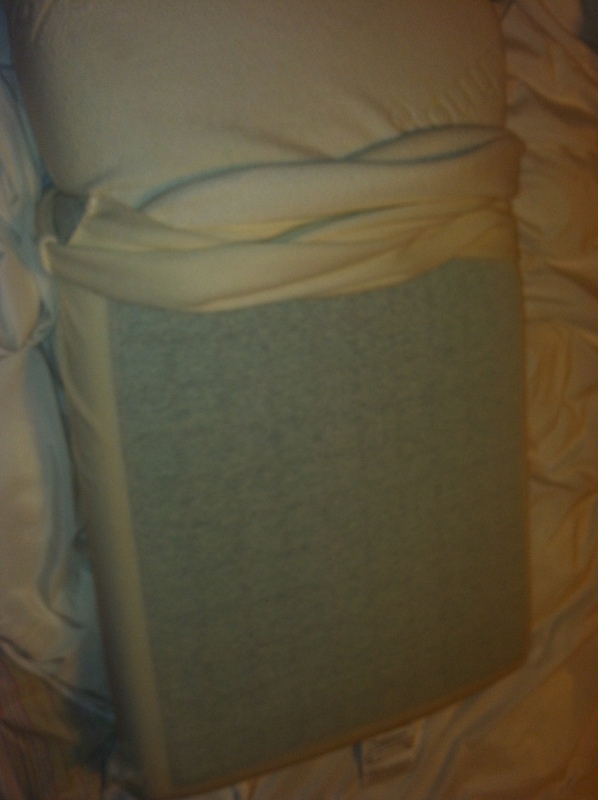 I love the Tehcnogel pillow because it resolves almost all of my pillow problems. First, the pillow sits fairly low to the bed, which I thought I would not like. It actually put my spine in neck in the proper position. I think this whole time I was looking for more support and solidness in my pillow, and just never found it. The Technogel pillow is a very solid pillow that will hold up to even the heaviest head. I also love that it does not heat up, so I do not need to worry about flipping it. It stays cool against my head, which is a huge relief, since the pillow weighs a lot and would be very hard to flip over. It is actually soothing to have a cool surface against my head while I sleep. 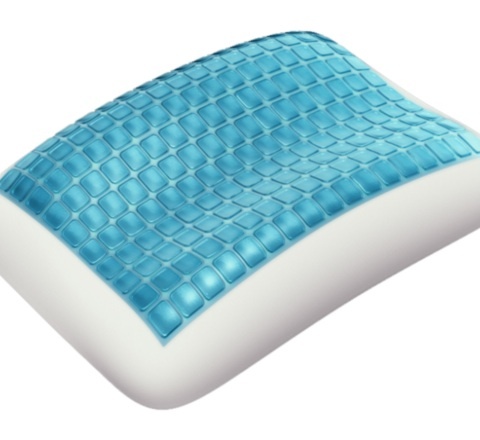 I have been getting more restful sleep since using the Technogel pillow, and my back and neck are thanking me. I tried out the deluxe pillow, as it is good for side and prone (stomach) sleepers, but they make designs that fit into your unique pillow style. Last, but not least, the pillow is hypoallergenic, so you do not have to worry about dust mites or other allergens getting locked into your pillow. They have also thought of every detail. 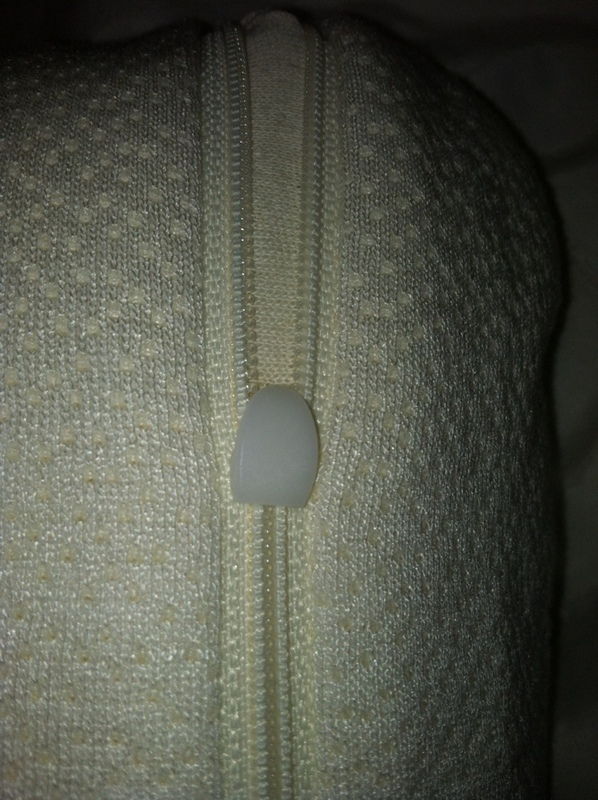 The zipper on the case itself, is flat, so that it does not disturb your sleep. To find out more about Technogel pillows, visit their website: http://www.technogelsleeping.com/us or www.technogelworld.com and find which pillow best fits your needs! 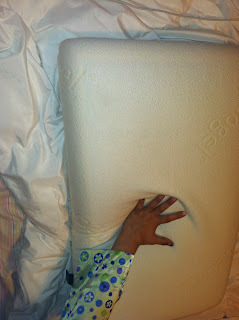 MamaBreak received a pillow so that we could adequately review it here on the site. We did not receive any other kind of compensation. As always, our experiences and opinions are our own. Ohhh, I so need this pillow! I hate a warm pillow, and currently have a chillow device on my pillow but it weighs a ton and flattens my pillows meaning I need more pillows to be comfy! I have never tried Chillow, but this is built into the features of the pillow, so it does not flatten, and is comfortable. It is REALLY heavy though! This pillow sounds wonderful! 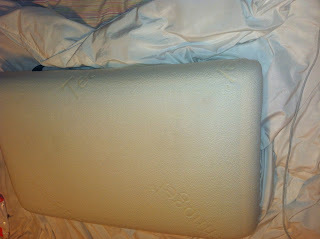 I am so picky about my pillow but think I would really love to try one :) thanks for the great review! I am so picky about pillows, and I think I finally found a winner! I love a nice cool pillow! This pillow looks really neat. Thank you for sharing! I think my mom would really love this. She has other specialized pillows, but is still uncomfortable and they still wear out, so this would be a good thing for her to try. I really need this! I have a lot of issues sleeping because of neck and back pain. I like the sounds of this pillow! I have always wanted to try them. Wow, the tehcnogel pillow looks amazing! It sounds like it would help my sleep issues as well! Wow, this pillows sounds awesome! Maybe it would help with the stiff neck I get all the time from mine. This looks awesome!! I would like to try that!! Looks like a nice pillow! Would love one like this.